Well, planning to do some DIYs for the outdoor to redesign your outdoor decor? Here is some outdoor pallet furniture that you could do at home. 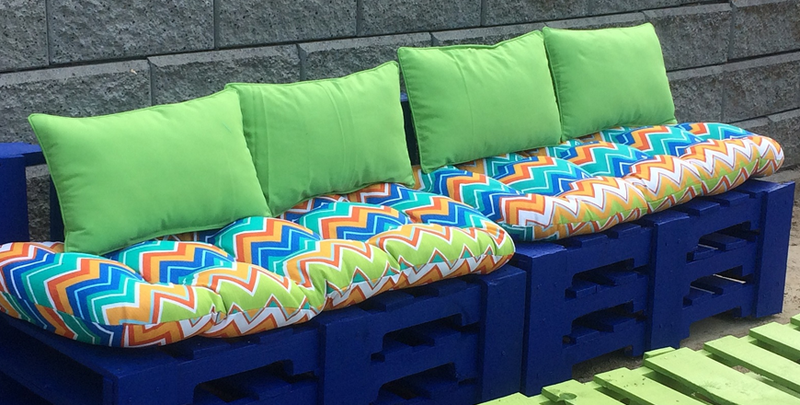 These DIYs Pallets are easy to do, less price, less space but more worth it. Read the safety measure and follow them while doing these projects. Planning to fill up the space of that big patio? Then this is a great idea. First thing measures pallets and understands if you will need to trim it down according to the space requirements. To cut them down, use the handsaw or a jigsaw. Stack them on the top of the other and see if that’s enough for the height of the benches. Now cut according to your requirements. Hammer the nails through the blocks. Now, sand it down using sandpaper. Smooth it enough to paint it. Now paint it with your favorite color. That is it! The perfect way to spend your lazy day! It is simple to do. Get two pallets, attach the stringers with bolts, install the legs, add small wheels to help moving, attach skirt board to be firm, add cedar boards to the PVC rails, paint your PVC rail with your favourite color and assemble it, throw the bed and some bright color pillow, enjoy the summer. A Sandbox is the best creative DIY project using the wooden pallet. Steps are simple. Create a box with short sides, use ¼ inches screws to attach them. Place and screw two planks on each side. Space the boards ½ inches apart. Leave some space in between where you can pour the sand. Use primer or conditioner as needed. Look out for some pallets which are in good condition, dismantle them, measure them group the beams into same thickness, length, and width, cut them accordingly, attach them using screws. We would love to receive valuable feedback from you.